Erma was turning 65, was going to continue to work, and had medical coverage through her employer. She was concerned about all the penalty discussions that she was warned about by her friends and co-workers. Even her HR representative at her employer warned her that she had to sign up for Medicare or get a penalty. At our meeting, we laid to rest all the gossip about penalties by providing facts about Medicare. Since her employer plan had more than 20 employees and the plan was “creditable coverage,” she could continue to work, keep her health plan at work, and not have to sign up for Medicare A or B. She would have no penalty when she finally separated from her employer health plan in later years. She was relieved and thought that was the only thing she needed to consider. 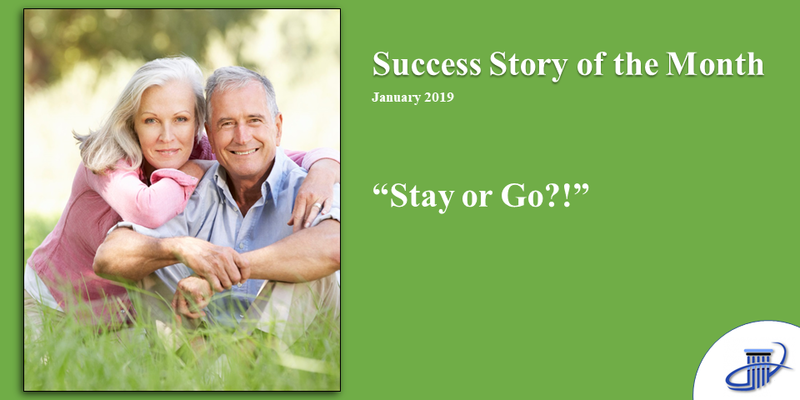 We discussed that she needed to perform a “should you stay, or should you go analysis” that compared her employer health plan with what she could have with a Medicare health plan. “Oh, but we have a great health plan at work and it only cost me $150 a month”, she replied confidently. We asked about her deductible, co-pays, and the out-of-pocket maximum. This is where things got a tad off. Seems there is a $2,000 a year deductible and a $6,500 out-of-pocket maximum on her employer health plan. In addition, there was a $25 per doctor visit co-pay and a $75 per specialist doctor co-pay. There was also a 20% co-pay at the hospital until she reached the $6,500 out of pocket maximum. So, she had to pay the first $2,000 a year before her employer plan would pay for anything, in addition to the $150 a month premium. 12 x $150 = $1,800 + $2,000 deductible = $3,800. If she registered for Medicare A&B at $135.50 a month, she could choose a Medicare Advantage Plan that had a zero monthly premium and no deductible. The out-of-pocket maximum was also only $3,200 for the year, which was half of what her employer plan would cost in the event of a serious medical event. The really good news was that her doctor and specialist, as well as the hospital in her neighborhood, were on several plans. Also, there was no co-pay to see her primary doctor and only a $30 co-pay to see any specialist. She was baffled that the Medicare Advantage Plan was the same brand as her employer health plan carrier. An additional bonus was the Medicare Advantage Plan had less expensive co-pays on her medications. It was a win, win, win to switch. 12 x $135.50 = $1,626, $0 deductible= $1,626. Erma’s reaction to the results of the comparison was that “Why on earth would I keep my employer plan when this plan has less cost? Do you realize how much money I’m going to save? It’s over $2,000 a year!” In the end, she kept her job but signed up for the Medicare Advantage Plan. If you are going to keep working after age 65? Call us we can help!